I’m really happy to share this wonderful review of The Lost Sentinel. Please head over to Booksfromdusktilldawn for the full review. It’s day 15 of The Lost Sentinel’s blog tour and I’ve written a guest post on my favourite author – David Gemmell. Please head over to Mighty Thor JRS for more. Author Suzanne Rogerson has been kind enough to write a guest blog post for Mighty Thor JRS today. I am very excited and I would like to thank Suzanne for the opportunity to host this Guest Blog. Now without further adieu here is Suzanne’s awesome guest blog. As I’ve just published my second fantasy novel, I wanted to take a moment to reflect on the biggest influence on my writing to date – the late, great David Gemmell. On a beautiful, sunny Saturday a few weeks ago, I spent the morning at Falco West Sussex Falconry. It was a mother’s day / birthday treat, a chance to research for a character in one of my future books, but mainly I went because I love birds of prey! This is Phoenix, probably my favourite bird of the day. I have plenty of shots of this Harris Hawk, but here are just a couple. The first is a view of it sitting on my arm. We also got to fly Crystal (Chrissy) the Barn Owl. She’s tiny and weighs nothing, but is a real stunner to watch fly. The above picture is Chrissy sitting on my hand (such a privilege). There were lots of other owls at Falco, which were brilliant to see but unfortunately my photos aren’t good enough to share. I love this next falcon, but admittedly can’t remember which type it is. I think it is a Saker Falcon. This next bird is a Hybrid bird, clearly part peregrine falcon. Finally, I’ve already shared a few photos of this young Buzzard on a Wordlesswednesday post. But I had to show off this photo again because it still makes me smile! I really recommend a falconry day if you like birds of prey. Nothing beats having one fly onto your hand and being so close to these majestic creatures. Tomorrow’s stop on the blog tour is a guest post about ‘How writing has turned me into an obsessive learner’. I mention this experience in the post, so it seems a perfect day to share this with you. I hope you’ve enjoyed these photos as much as I’ve enjoyed sharing them. 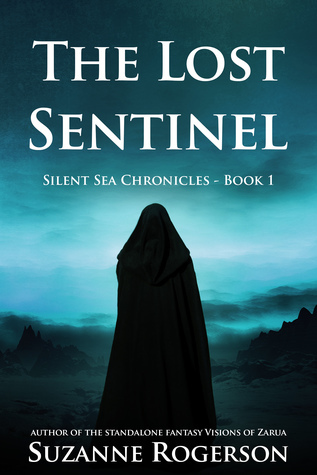 Here’s the latest book review in The Lost Sentinel blog tour. Today’s stop on The Lost Sentinel’s blog tour is at ‘The Royal Polar Bear Reads’ for an interview and Guest post on Why Authors Need Book Reviewers. Hi, Suzanne! First of all, Thank you for letting me be a part of your blog tour and this is a wonderful opportunity! 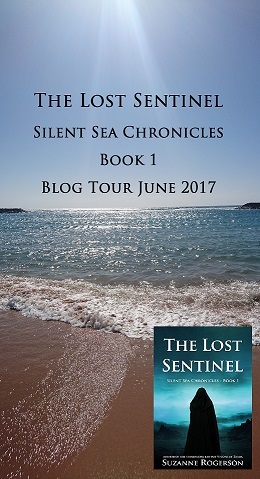 I’m really pleased you’ve agreed to join The Lost Sentinel’s blog tour. First question! Can you tell us why did you want to be a fantasy author and how did you become one? I’ve always wanted to be an author, I just didn’t know what I wanted to write until I read my first fantasy novel at the age of 17. The genre encompasses everything I love in fiction, plus I get to create whole worlds, magic systems, races of people and their histories.